If the traditional accounts are to be believed, Saint Patrick was born at the end of the fourth century CE, when the Roman Emperor Theodosius I was busy consecrating the empire to the sign of the Cross, by which Constantine had conquered at the Battle of the Milvian Bridge two generations earlier. After establishing Christianity as the official religion of Rome in 380 CE, Theodosius set about uprooting the old order, putting an end to the ancient traditions within the empire. He destroyed the temples of Apollo at Delphi, of the Vestal Virgins at the Roman Forum, and of Demeter at Eleusis, where the mystery rites of Greece had been celebrated annually for a thousand years. These changes thundered through the empire, but even greater forces were at work in Eurasia. Turmoil in northwestern China displaced hordes of nomadic warriors, and under the banner of Attila, the Huns surged westward in the fifth century, driving Germanic and Gothic tribes before them. The refugees of Central Europe poured over the Danube and into the Roman empire, overwhelming its beleaguered armies and exhausted cities. As Augustine would lament in his City of God, just as Christianity triumphed within the Imperium, the City of Man fell under the barbarian sword. The Vandals, Visigoths, and Ostrogoths flooded into the empire, and in 486, King Odoacer deposed Romulus Augustus, the last Roman emperor. Warring German tribes would spend the next century picking the bones of the Western Empire clean, until the Merovingian dynasty brought some semblance of order to the lands that would become France and Germany. As far as the Western Roman Empire had reached, all the way to Britannia in the north, the collapse were felt. Beginning around 58 BCE, Julius Caesar led Roman armies to victory against Transalpine Gaul, and three years later, he launched the first Roman invasion of the southern shores of England. Claudius subdued the Celtic Britons a few generations later, and Rome would weave a network of towns and roads with webs of commerce and civilization, leading all the way to Rome. But they never took Ireland. This distant isle known to the Romans as Hibernia was one of the last refuges of the Celts. By all accounts a tall, beautiful, ferocious people, the Celts swept through Western Europe in 1000 BCE, bringing with them their chariots, dazzling metalwork, and Druidic religion. Most of the Celtic territory, including Spain, France, and England, was eventually conquered by Rome, and everywhere the empire grew, it left towns, roads and trade. When the empire fell, the social and economic infrastructure that sustained these lands fell with it, with predictable consequences. When the Germans poured into the heart of the empire, the Roman legions withdrew from Britannia, leaving the bewildered Britons a generation or two of peace before new armies of invaders moved in from the east, and the island was overrun by the Angles, Saxons, and Jutes. Wherever Roman high civilization had flourished in Europe, the people plunged deep into the Dark Ages. The great knowledge of classical civilization all but vanished from the mainland, where the Germanic values of force of arms and tribal kinship were the order of the day for centuries to come. Now, in a curious historical inversion, while the Roman lands fell into darkness, Celtic Ireland became the great center of learning in Western Europe. Unlike Britannia with its towns and roads, Ireland had no great economic or population centers. When Christianity first took hold, the church had to create its own infrastructure to support the clergy. The form this generally took was the monastery, which functioned, in a manner of speaking, as a micro-town – self-enclosed polities that served as organized centers of learning. A series of Irish monasteries was built by industrious missionaries throughout Ireland and the British Isles, providing a home for many of the great works of medieval literature and art, including The Book of Kells and the Venerable Bede’s Ecclesiastical History of Britain. The Irish monk Duns Scotus Eriugena translated the writings of the Christian mystic Pseudo-Dionysius the Areopagite into Latin, whose writings were to have a profound influence on everything from the Gothic cathedral to the writings of Thomas Aquinas. In the early ninth century, when Charlemagne, the first Holy Roman Emperor, sought to improve the scholarship and literacy of the European clergy, he turned to the Irish monks, knowing full well that their knowledge of Latin and their erudition far surpassed anything that could be found on the mainland. And this whole process, by which Irish monasteries preserved and enriched European culture for centuries, began with the missionary work of Saint Patrick. We know nothing about Patrick’s life with certainty, but early biographical sources agree on the basic facts. At the age of 15, Patrick was brought to Ireland as a slave by marauding British pirates. He escaped six years later, but was led by a vision he had in a dream to return to the isle and establish the Christian church. He founded ascetic communities, laying deep roots for the monasteries that would flourish in the sixth century. Needless to say, the life of Patrick has taken on a mythological and hagiographical dimension, with many of the biographies describing him as a healer and a miracle worker. I’d like to take a brief look at one of these interesting biographies of Patrick, The Life and Acts of Saint Patrick, written by Jocelyn of Furness sometime around 1200. Note that this biography is only slightly later than some of our primary sources for early Irish mythological literature, such as The Cattle Raid of Cooley and the Book of Invasions. I find it evocative for its free blending of Celtic mythological and Christian themes. And Patrick, the child of the Lord, was then nursed in the town of Empthor, in the house of his mother’s sister, with his own sister Lupita. And it came to pass in the winter season, the ice being thawed, that a well overflowed and threatened to overturn many houses in the town; and the rising of the waters filled the mansion wherein Patrick abided, and overturned all the household stuff, and caused all the vessels to swim. And the little boy, being an hungered, asked in his infantine manner for bread; yet found he not any who would break bread for him, but jeeringly was he answered that he was nearer to being drowned than fed. When the boy dipped three of his fingers into the swelling water, and, standing on a dry place, he thrice sprinkled the water in the form of a cross, and in the name of the Holy Trinity commanded the well that forthwith it should subside. And behold a miracle! Immediately all the flood retired with a refluent course, and the dryness returned, nor was there hurt or damage seen in the vessels or in the furniture of his dwelling. And they who looked on saw that sparks of fire instead of drops of water were sprinkled from the fingers of the holy child, and that the waters were licked up and absorbed thereby; and the Lord, “who collects the waters as in a heap, and lays up the depths in his treasury,” who had worked such great works through his beloved child Patrick, is praised of all; and the child also is magnified who was so powerful in Him, great and worthy of all praise. (ch. IV, trans. Rev. James O’Leary, 1880). In psychodynamic terms, water under the ground can be taken as a common symbol the forces of the unconscious. In this story, the forces of the unconscious are uncontrolled and threaten waking life, until they are mastered by Patrick, bringer of Christianity. He is able to drive them back by the sign of the cross – the same sign that appeared to Constantine in his vision. In other words, from the perspective of Patrick’s biographer, the powers of the unconscious as they were expressed by Celtic mythology were perceived as overwhelming and threatening, unless they were held at bay by the bulwark of Christian doctrine, which subdued and transformed these tidal forces into a sublimated form. Water becomes fire, an element of light and illumination. I’m rather reminded of the Tibetan stories of the Indian master Padmasambhava, who brought Buddhism to Tibet and tamed the demonic supernatural forces that threatened the country. Two other elements of this story worth noting are the obvious baptismal resonance here, particularly in the light of John the Baptist’s words that Christ “shall baptize you with the Holy Ghost, and with fire” (Matthew 3:11). Also, note that the well is a primary locus of the Celtic magical arts. We can see this illustrated in Gottfried von Strasbourg Tristan, which was written within a decade of Jocelyn’s Life and Acts. In one important episode, the gravely-wounded Tristan is healed by the Irish princess Isolde in a magic pool. So what happened to the Irish monastery as one of the primary centers of European culture? This bright light of civilization was extinguished by yet another invasion by the northern barbarians. The Vikings put an end to the Irish monastery in a wave of brutal attacks beginning in the mid-ninth century. The great seats of Irish learning were cast down into ruin, one after another, and their riches borne back to Scandinavia on Danish and Norwegian longboats. Elaine Pagels spoke for the Long Now Foundation in San Francisco on August 20, 2012. I have been having a lively time lately studying early Christianity, which featured a fascinating diversity of beliefs before it was extruded and compressed into its narrow canonical form. I recently reviewed Henry Chadwick’s classic history of early Christianity, and have been studying the medieval mystics Pseudo-Dionysius and Eriugena and their debt to the Greek philosopher Plotinus (check out this terrific lecture on Eriugena by Willemien Otten). I’ll have more to say soon on the Neoplatonic bridge that links Hinduism and Buddhism to Christian mysticism. 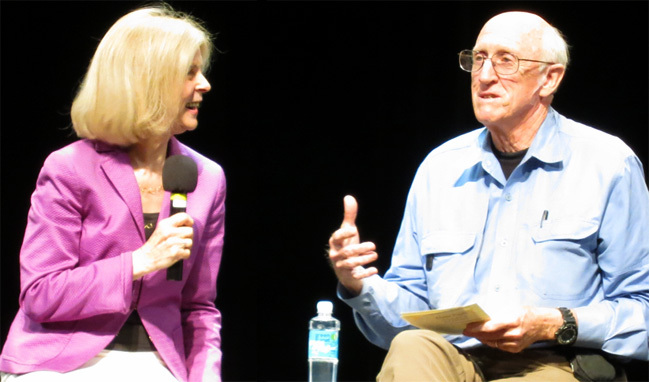 In the context of this exciting period of study, it was my great good fortune to see a lecture and lengthy Q&A by one of the world’s best-known scholars of Gnosticism and early Christianity, Elaine Pagels. Hosted by the Long Now Foundation, Professor Pagels delivered a rapid and exhilirating summary of her recently-published Revelations, a study of the Revelation of John and other extra-canonical books of Revelation. Pagels argues that the fantastic imagery of John’s Revelation can be interpreted in the light of Roman political art as an allegory expressing the plight of Christian refugees fleeing the destruction of Jerusalem by the Roman emperor Titus in 70 CE. To the right you can see a contemporaneous representation of the defeat of Jerusalem. 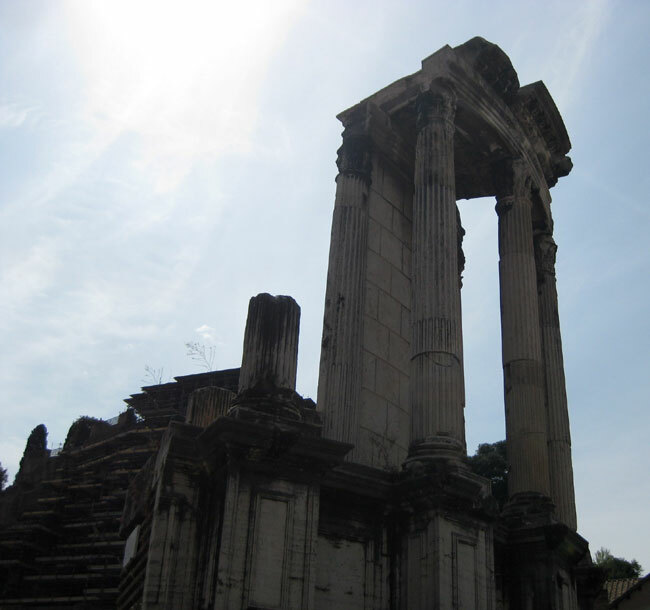 It is engraved on the interior of the Triumphal Arch of Titus, which stands to this day in the Roman Forum. 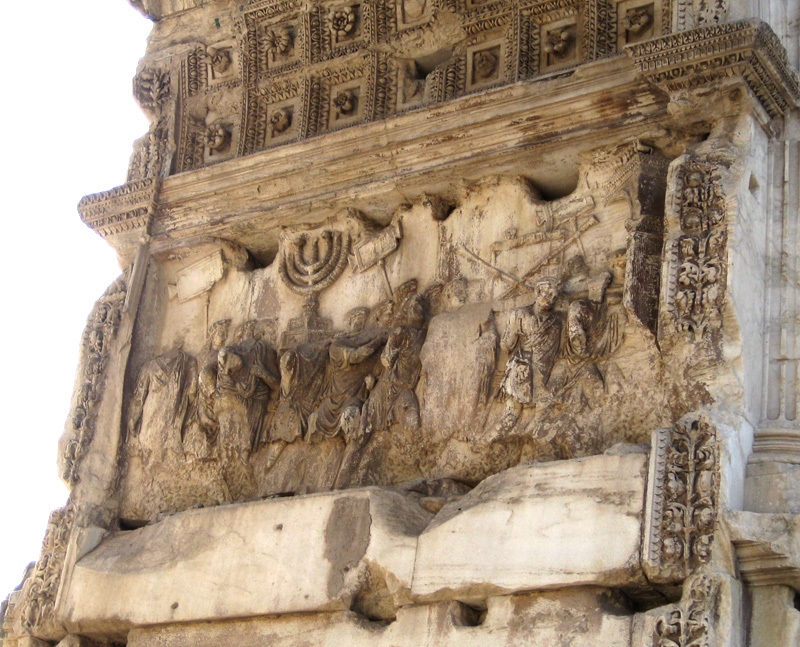 The arch may have been built by the forced labor of Jewish slaves who were brought to Rome after the war. The destruction of Jerusalem, and especially of the Temple, was a traumatic event for the entire Judeo-Christian world. It was right around this time that the Synoptic Gospels (Matthew, Mark, and Luke) were first written down. These gospels teach that a period of destruction and chaos will precede the triumphant return of Jesus and the end of history. What we seem to have in the Synoptic Gospels, then, is an account of Christ’s ministry occurring after the destruction of the Temple, which features Christ predicting the Temple’s destruction, and then immediately moving into a discourse about the End Times (q.v. Mark 13:3 ff.). John’s Revelation also drew from the prophetic language of Ezekiel, Isiah, and Daniel to interpret the disastrous loss of Jerusalem as a sign of Christ’s immanent return. As the centuries rolled on and history did not end, the book’s images of war and destruction lost their fixed historical meaning and began to serve for Christians as a general symbol for worldly chaos and suffering, one which could be interpolated onto any large-scale conflict or disaster. The image retains its power, Pagels believes, in part because calamity is regarded as a prelude to victory and resolution. Any defeated or suffering people can look to the story as an image of hope. However, she is critical of the book’s distinctly dualistic cast, which divides the world into two big groups, the elect and the damned. This way of thinking, Pagels argues, has caused a lot of problems in the history of the church and a lot of personal pain. She recalls her own childhood estrangement from an evangelical church after being told that her Jewish friend was going to Hell. Pagels favors Christ’s teaching in Mark, that those who perform compassionate acts will be welcomed into heaven, over Revelation‘s vision of dirty, accursed, promiscuous people who will be cast into the Lake of Fire. The book has always been controversial and was not widely accepted even in its day. Of the several competing early versions of the canon which we still have, she notes, only one of them included Revelation – that of Athanasius, Bishop of Alexandria. His redaction happens to be the one which was eventually accepted by the Latin church. The lecture concluded with a long Q&A moderated by Stuart Brand, co-chair of the Long Now foundation. Long Now is generally wary of religious topics, Brand noted, as religions tend to pick sides, and the Foundation does not like to do that. Now, to me, that actually sounds a lot like picking a side – especially since he gave no comparable disclaimer when he introduced Sam Harris in 2005. Harris’s electrifying attack on religious thinking can be heard here. I reviewed his book The End of Faith here. During one interesting exchange, Brand asked Pagels to play the part of redactor and tell us what books she would include in HER Bible. She extemporaneously suggested Genesis, Exodus, the prophets, the Synoptic Gospels, the gospels of Thomas and Mary Magdelene, Thunder Perfect Mind, and Trimorphic Protennoia. All pictures (C) Barnaby Thieme. Do Buddhist teachings of selflessness contradict the doctrine of reincarnation? The Electronic Text Corpus of Sumerian Literature (Oxford) Many translations. UBUWeb Great archive of music, lectures, and more. Avant Garde Project Free out-of-print Avant Garde albums and compositions. 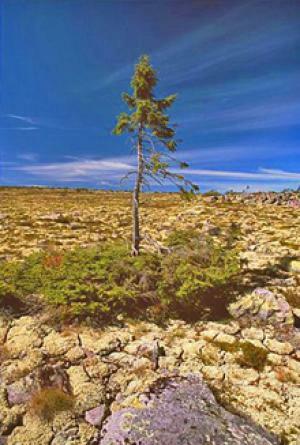 Quiet American Acoustic ecology and sound recordings. CBC Ideas Podcast – Archives Great series on fascinating topics. Art of the States Much contemporary classical music to be listened to and enjoyed by you. 5:4 Outstanding contemporary classical music blog. Sacred Destinations Marvelous encyclopedic site of sacred sites. Internet Sacred Text Archive Mountains of sacred texts of every tradition. Google Art Project Browse galleries from around the world. Khan Academy Excellent collection of short instructional videos.